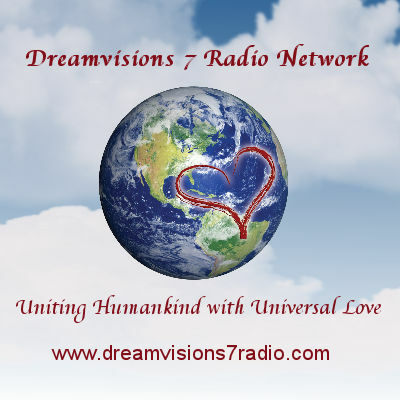 Love, Animals & Miracles | Bernie Siegel M.D. “Having a loving relationship with an animal is one of the most powerful factors in healing and maintaining well-being. . . . Love, Animals & Miracles is dedicated solely to the miracle of them and of their presence in or lives,” says Dr. Bernie Siegel. The stories in this October 2015 release offer funny and heart-touching, true-life experiences that convey loving connections, amazing rescues, and healing with (and by) animals — both wild and domestic. Stories tell of remarkable relationships with animals and moments of connection and healing observed in others. With Bernie’s guidance, readers get a bird’s-eye view of these happenings, including how animals enrich lives, give hope, teach lessons to live by, increase a sense of gratitude, help humans (or another animal) survive, and connect us all to the miracle of creation. The collection includes stories from Bernie’s adult children, recounting fond memories of the menagerie of animals that made up The Siegel Family Zoo (page 5). Shining the flashlight on Bernie as playful and loving father, his children’s stories reflect the life lessons they learned from having a close-knit inter-species (and sometimes noisy — very noisy) household. Additional contributor stories have been gathered from Bernie’s years of medical practice and from the thousands of communications he receives on his website — BernieSiegelMD.com. 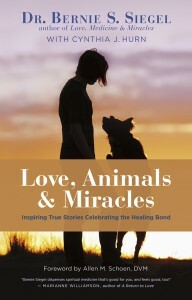 Stories are arranged in themed chapters including Becoming Family; Love Is Blind; Paw Professors; Miracle Healers; The Psychic Connection; Grief and Forgiveness; and Animals Who Serve. Bernie’s commentary at the beginning and end of each chapter will help readers incorporate the teachings into their own lives, whether they are seeking miracles, recovering from the loss of a pet, or simply enjoying the animals and love surrounding them. Click to download a high resolution version of the front cover. Retired surgeon Bernie S. Siegel speaks, writes, and runs support groups in his effort to empower patients. He lives in Woodbridge, CT. Cynthia J. Hurn is the coauthor of No Buddy Left Behind and The Art of Healing. She lives in Somerset, England. Bernie’s website is www.BernieSiegleMD.com.